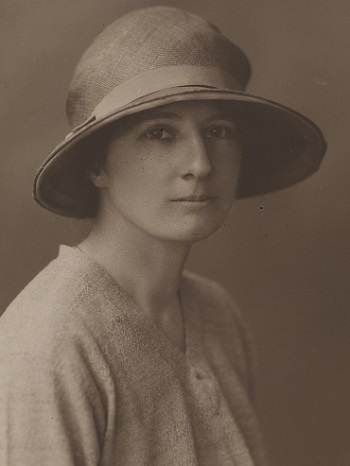 Ina Boyle (8 March 1889 - 10 March 1967) is recognised as Ireland’s most prolific and important female composer of the first half of the 20th century. Her body of work encompassed choral, chamber and orchestral works as well as an opera, ballets and vocal music. Ina Boyle was born and lived all her life in the family home Bushey Park, Enniskerry, Co. Wicklow. Her first teacher was her clergyman father, William Foster Boyle. She studied privately with Percy Buck, Charles Kitson and Charles Wood, to whom she was related by marriage. From 1923 she travelled to London for composition lessons with Ralph Vaughan Williams until the outbreak of World War 2 ended her visits. Ina Boyle continued to compose throughout her life and tried to promote performances of her works but with little success After her death in 1967 her music was forgotten, but in recent years the efforts of the Ina Boyle Development Committee have led to performances, broadcasts and recordings in Ireland , England and Europe. Her music manuscripts are preserved in the Library of Trinity College Dublin, some have already been digitised and are available for download at digitalcollections.tcd.ie. The first CD devoted to her orchestral music was recorded in 2018 by the BBC Concert Orchestra, conducted by Ronald Corp. The official biography, Ina Boyle 1889 - 1967 - A Composer’s Life by Ita Beausang and Séamus le Barra, has been published by Cork University Press. Vaughan Williams wrote to Ina Boyle in 1937: I think it is most courageous of you to go on with so little recognition. The only thing to say is that it sometimes does come finally. Fifty years after her death his prediction is becoming a reality for this remarkable composer. For more information on Ina Boyle, please visit inaboyle.org.